Un-equal Angles are angles with un-equal legs. These structures are used where the application demands load support on one leg more than the other. T- Angle with one leg in the middle of another leg at 90 degrees making a ‘T’ section. This is used where to support the load on both sides. 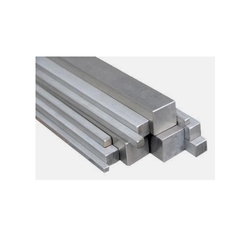 Square Bars are used for various engineering, manufacturing, and general fabrication purposes. 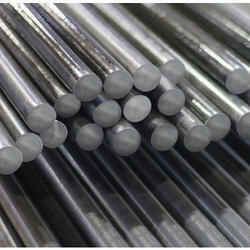 Round Bars are used for various engineering and general fabrication purposes. Apart from fabrication material Mild steel Round Bar are also used in the manufacturing of bolts, nails, Shafts and various other items. 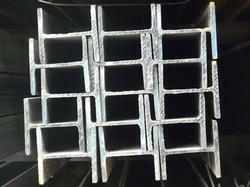 Round Bars are available in various grades and specifications that help serving vast clientele. 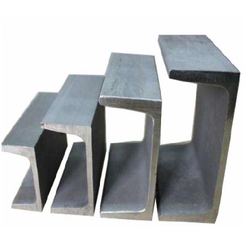 MS Square Bars are used for various engineering, manufacturing, and general fabrication purposes. 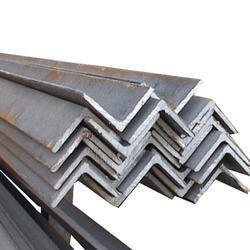 Steel Angles is a length of steel bent at a right angle. Owing to its shape and strength it has a variety of usages across a large range of applications from residential to heavy engineering. Facilitated by the technically advanced process, we are presenting a distinguished collection of Steel Angles. As the name suggests Equal Length Angle is the length of steel bent at a right angle with equal legs. Owing to its shape and strength it has a variety of usages across a large range of applications from residential to heavy engineering. 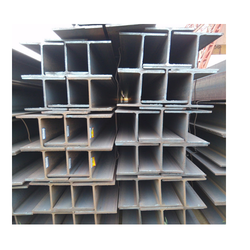 A name defines Structural Steel H Beam is 'H' shaped members of the Beam family and are used for various fabrication purposes and structural applications. 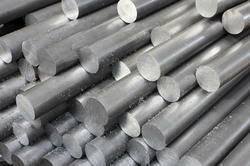 Used in various applications such as Heavy Fabrications, Slabs, and Electricity Poles. Brand SAIL & Jindal Steel & Power Ltd. 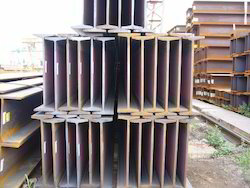 Wide Flange Parallel Beam or WPB or HE as it often knows are wider sections available in Parallel Flange Beams. 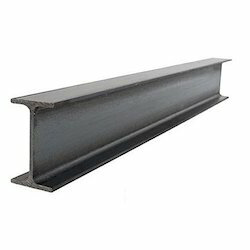 These find application in various Heavy Structural Fabrication works across the country and the vast range availability has reduced the need of fabricating the beams in house by the customers. Their high Load bearing capacity and reliability have helped it find its usage in various applications. 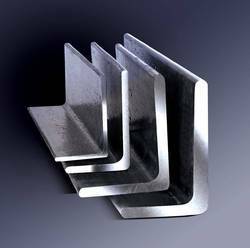 As name defines H Beam are 'H' shaped members of the Beam family and are used for various fabrication purposes and structural applications. Used in various applications such as Heavy Fabrications, Slabs, and Electricity Poles. NPB or Narrow Flange Parallel Beam are European Standard Beams and are superior in Quality when compared to their Tapered ISMB counterparts. 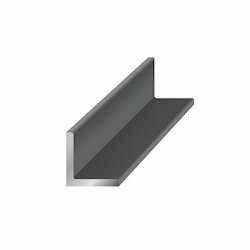 This has helped the product garner reputation amongst Steel Fabricators and other applicants. NPB comprises a major component of our Stocks. We have emerged in offering our valuable customers a wide array of Steel Bars that are made available in various specifications. 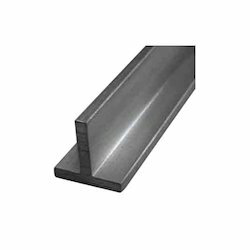 The flat bars offered by us are highly applauded for their excellent surface finish. 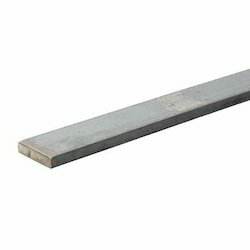 Channels are beams that can be used to carry horizontal and vertical loads. Due to its shape and strength, it can be used for various applications ranging from heavy engineering to residential usage. Indian Standard Angle (ISA) or Mild Steel Angle (MSA) as they are commonly known is a length of steel bent at a right angle. Owing to its shape and strength it has a variety of usages across a large range of applications from residential to heavy engineering. Universal Columns are stickier, wider 'I' section members designed to carry high axial loads, for applications such as columns and piles etc. 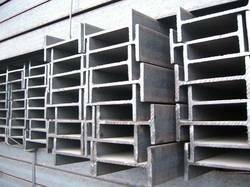 These members are generally heavier than other steel sections and are useful as supports for retaining walls and the like. 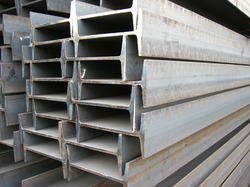 They can also be used as beam sections where headroom is of concern. 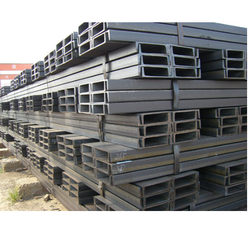 M S Channels or ISMC as they are generally termed are beams that can be used to carry horizontal and vertical loads. Due to its shape and strength, it can be used for various applications ranging from heavy engineering to residential usage. 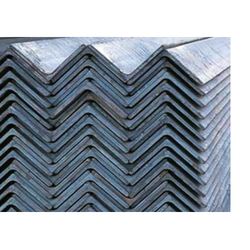 Mild Steel Flat is well known for their durability, flexibility, and reliability, due to these features they find there to use in a variety of fabrication jobs. 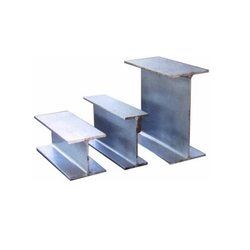 PRODUCT DETAILS: Mild Steel Channels are beams that can be used to carry horizontal and vertical loads. Due to its shape and strength it can be used for various applications ranging for heavy engineering to residential usage. 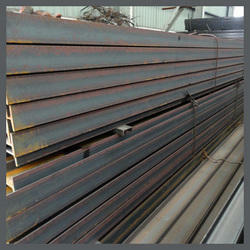 PRODUCT SPECIFICATIONS: 75x40 to 400x100 (mm). 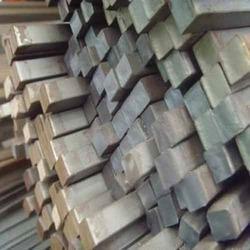 MAKE: STEEL AUTHORITY OF INDIA LTD. (SAIL), RASHTRIYA ISPAT NIGAM LTD (RINL); JINDAL STEEL & POWER LTD. & RE ROLLED MANUFACTURERS. 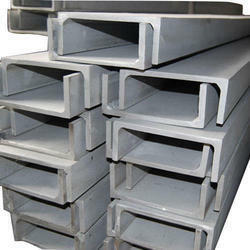 Steel Authority of India Ltd.'s novel product line involves NFPB or Narrow Parallel Flange Beam. 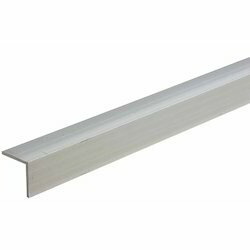 These European Standard Beams are superior in Quality and Specifications when compared to their Tapered ISMB counterparts. This has helped the product garner reputation amongst Steel Fabricators and other applicants. 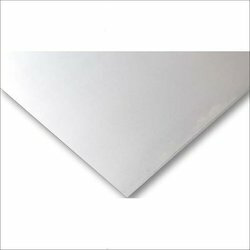 We are leading stockists for SAIL NPB Line up in India. 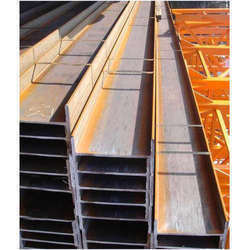 Brand Jindal Steel and Power Ltd.
RSJ Pole or Rolled Steel Joist are structural members specifically manufactured for use as electricity poles. The long life, strength, and sturdiness have made it as an idle choice for transmission poles. 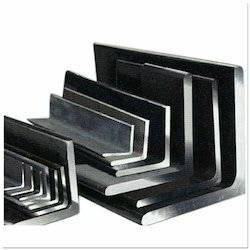 Mild Steel formed in sheets and coils, manufactured from slabs above recrystallization temperature. MS Sheets/ Coils are useful for various fabrication, engineering and re processing purposes. We have In house facility for HR Sheet Coil De-coiling at our premises which enable us to provide Cut to length sizes in sheets. 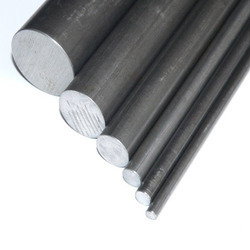 Steel Round Bars are used for various engineering and general fabrication purposes. Apart from fabrication material Mild steel Round Bar are also used in the manufacturing of bolts, nails, Shafts and various other items. 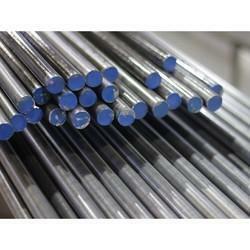 Steel Round Bars are available in various grades and specifications that help serving vast clientele. 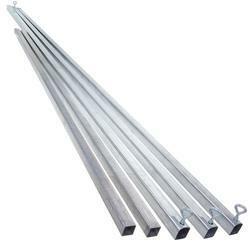 Steel Pole are structural members specifically manufactured for use as electricity poles. The long life, strength, and sturdiness have made it as an idle choice for transmission poles. We deal in poles of approved makes for various Electricity Boards. Mild Steel Flats are well known for their durability, flexibility, and reliability, due to these features they find their use in a variety of fabrication jobs.